If a mattress is your favorite flavored ice cream, then bed accessories are the cherry on top. More importantly, your pillow and sheets, especially, have a big impact on how well you sleep. That's why we carry one of the most reputable line of sleep accessories in the industry to enhance your sleep health. Whether you need pillows, sheets, comforters, protectors, or frames, let us help you do more than just find an amazing mattress or sleep system—let us help you revolutionize your entire sleep experience from the top down. Someone once told us a pillow is a bed just for your head, and it's true. Even on your ideal mattress, if you don't have the right pillow, you're not going to sleep well. We have an incredible assortment of quality, luxury pillows, and a lot of experience helping our clients find the one that will be best for them. Take a look at what we have, and then come in and let us help you find your new incredible "head bed." 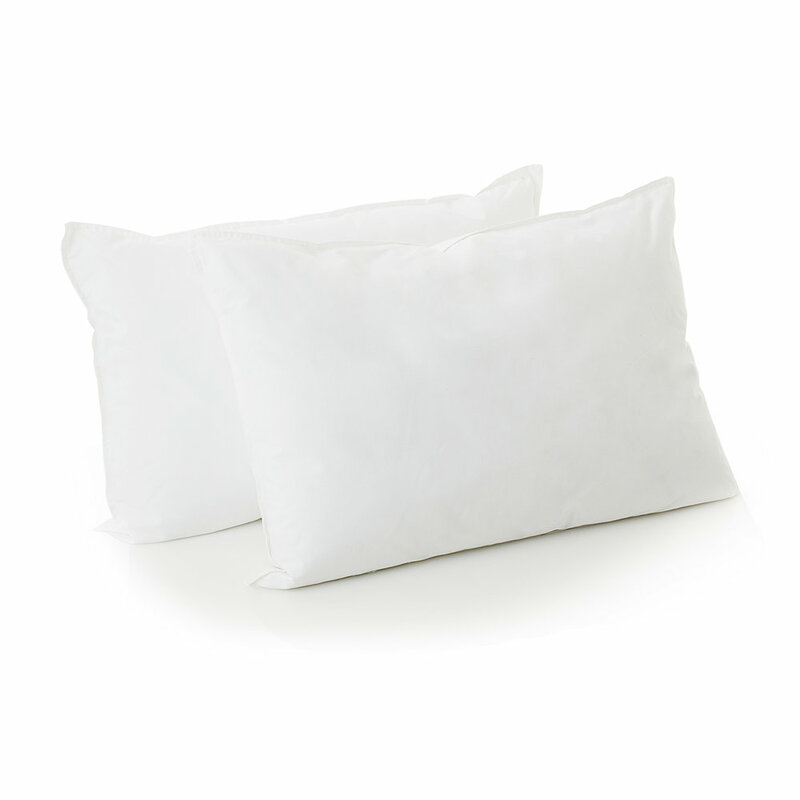 The Gelled Microfiber®pillow is luxuriously comfortable, but also moldable, making it ideal for any type of sleeper. Filled with gel-coated microfibers, and wrapped with a 250 TC pure cotton percale cover, this pillow doesn't shift of clump, and it's hypoallergenic. Universal to all sleep positions. Sizes: Queen (29 x 16), King (35 x 16), Body (54 x 20). This pillow is great for those who love the traditional down feel. 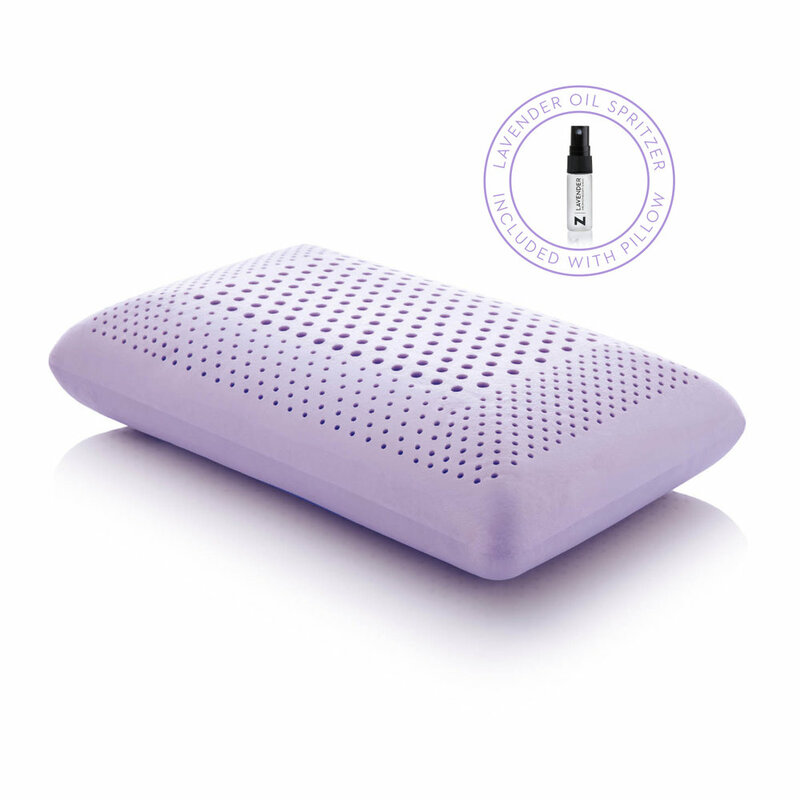 Made with a plush down and feather blend, the pillow is naturally supportive and breathable. As a nice addition, this pillow has a cotton filling encasement that ensures the quills won't poke or pop through the soft 250 TC pure cotton percale cover. Great for back and side sleepers. Fill: 95% duck feathers, 5% duck down. Sizes: Queen (29 x 16), King (35 x 16). 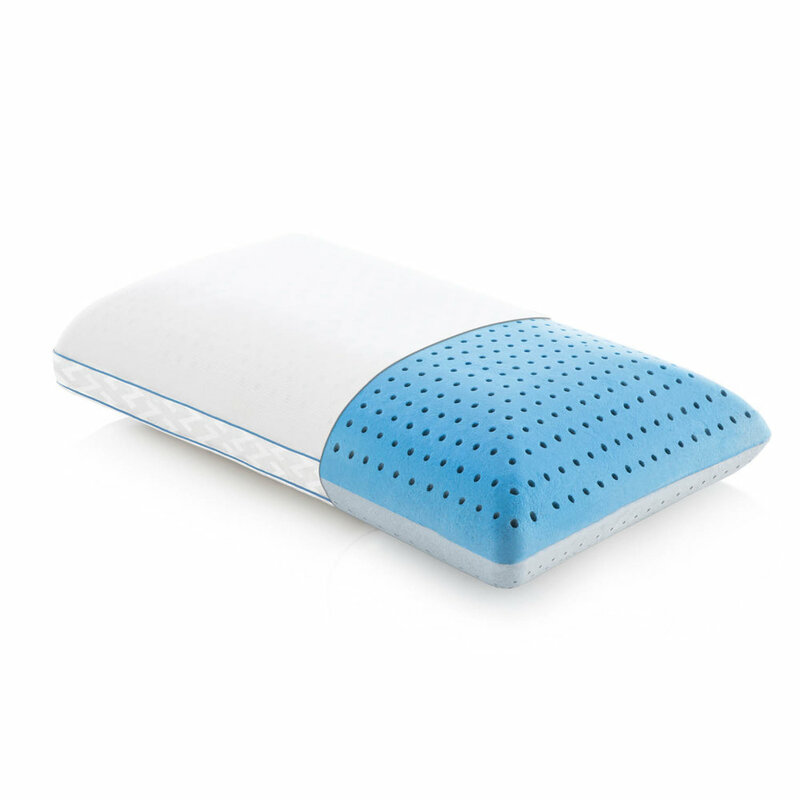 The Gel Convolution™ pillow is a three-in-one, offering amazing versatility and comfort. With a core of gel-infused convoluted memory foam and an outer layer of Gelled Microfiber®, you can customize your pillow to get just the right feel. The 100% Tencel® cover enhances the cooling effect by wicking away moisture and helping regulate temperature. Versatility for any type of sleeper. 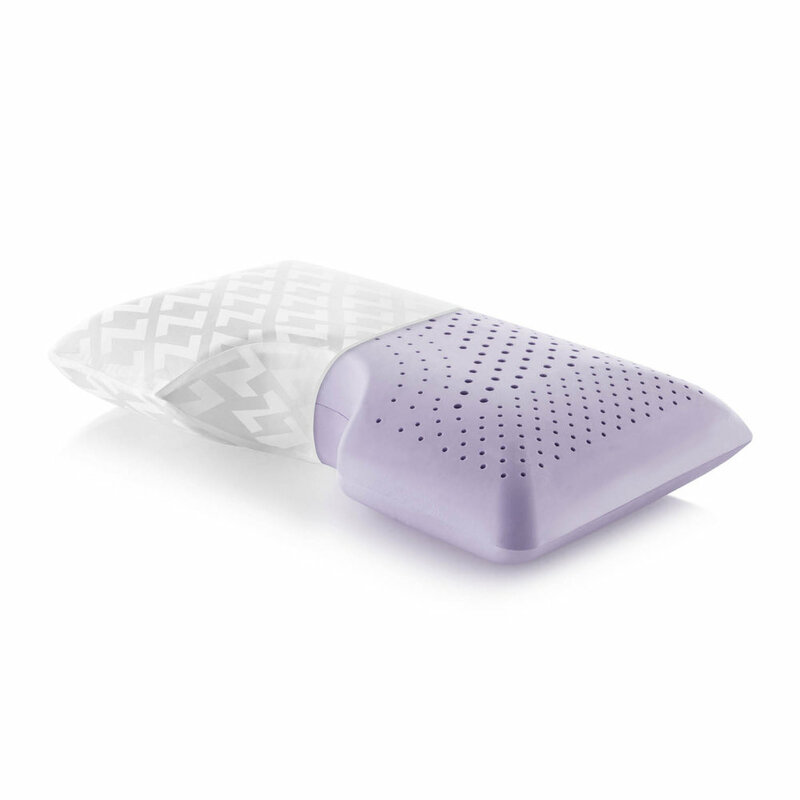 Ultra plush, soft support, or firmer support feel. High (7") or low (5") lofts available. This pillow is hands-down a customer favorite. And why wouldn't it be? It's moldable, resilient, durable, and so comfortable! Shredded latex combines the moldability of a traditional pillow with the resilient responsiveness of latex. Consistent filling that does not clump, even over time. Removable rayon from bamboo velour cover. Oil spritzers included for Chamomile, Lavender, and Peppermint pillows. Removable rayon from bamboo velour cover or Tencel® mesh cover. Low (4.5"), mid (6"), and high (7") lofts available. 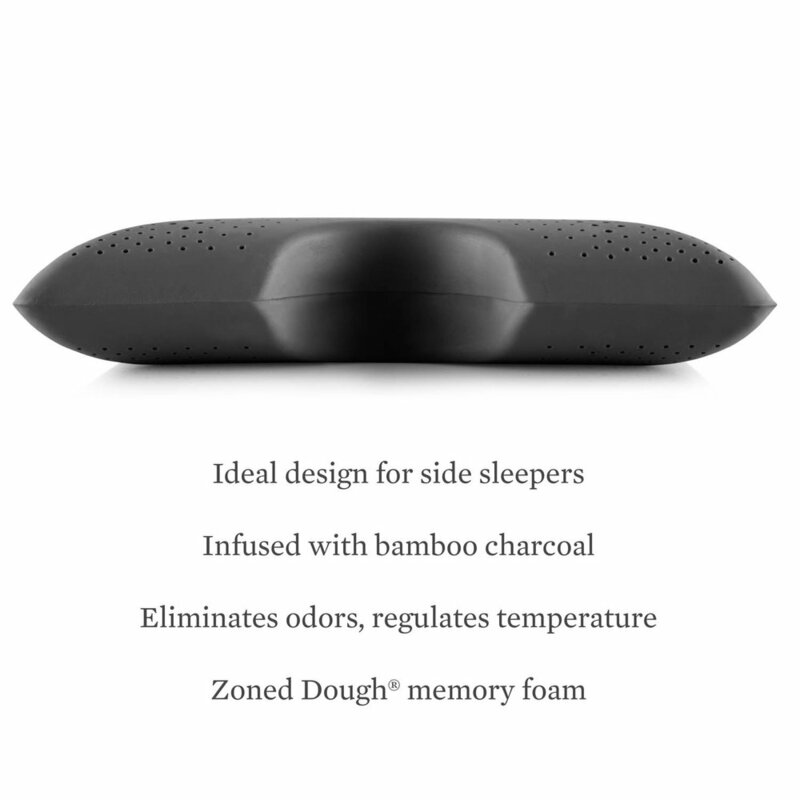 Great for side or back sleepers. Sleep hot? Then you might want to take a look at the CarbonCool® + OmniPhase™ pillow. 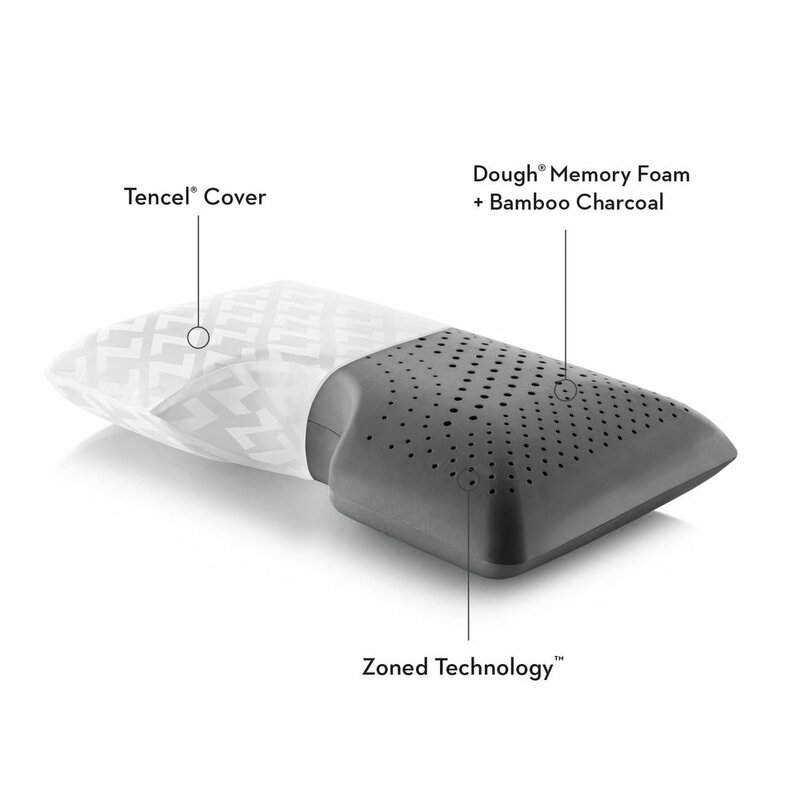 Made with phase change material (PCM), this pillow offers temperature, continually adjusting to body and environmental temperatures to maintain the optimum sleep temperature range. 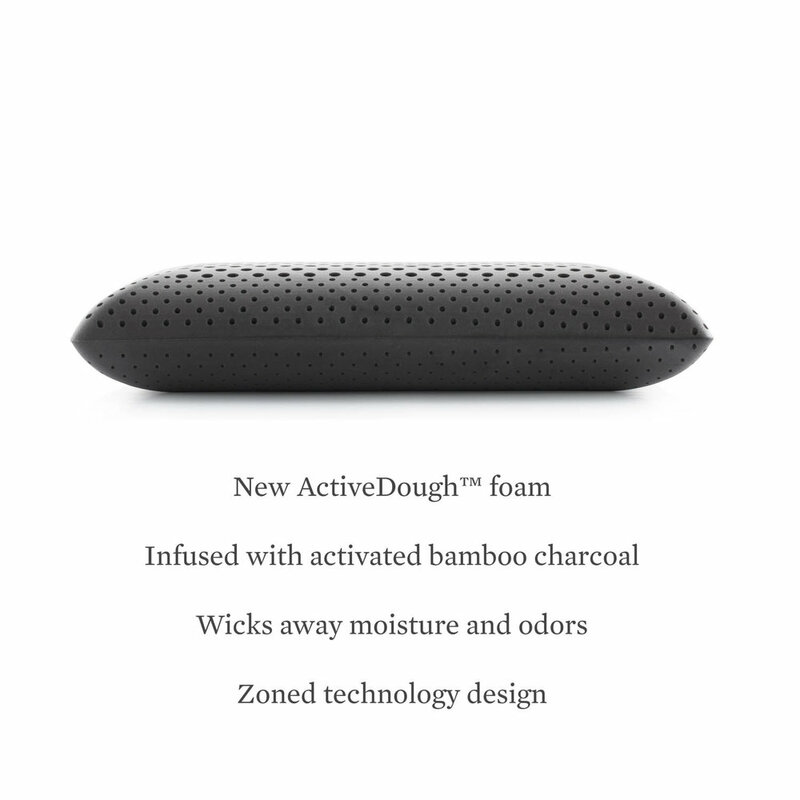 Additionally, this plush and supportive memory foam is infused with graphite to channel heat away from your head, face, and neck. Ventilated design for improved airflow and breathability. 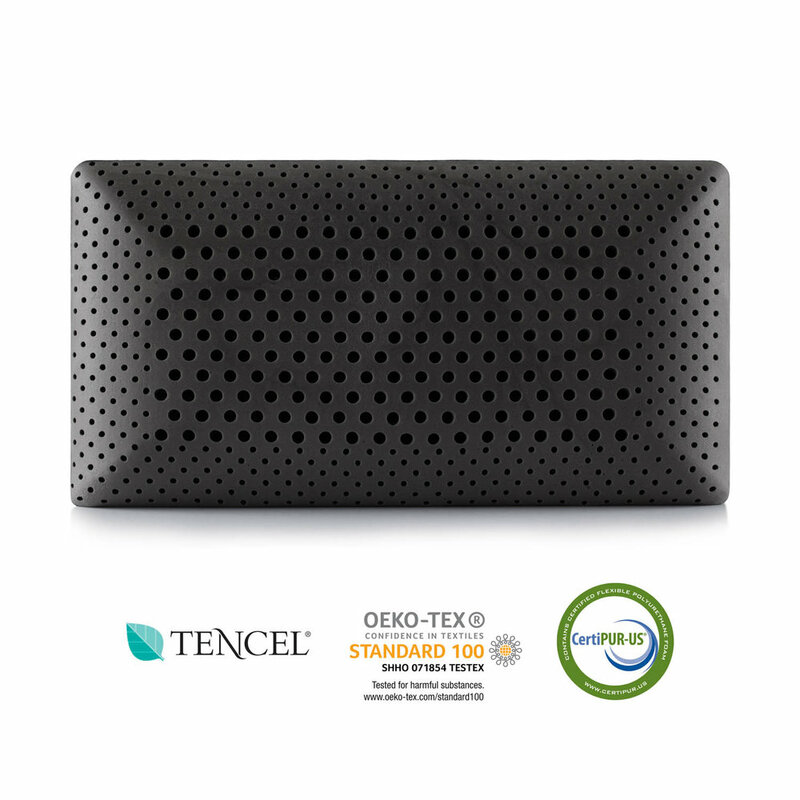 Removable Tencel® mesh cover for maximum exposure to the Omniphase™ coating. Sizes: Queen (29 x 16). This is one of our top sellers. 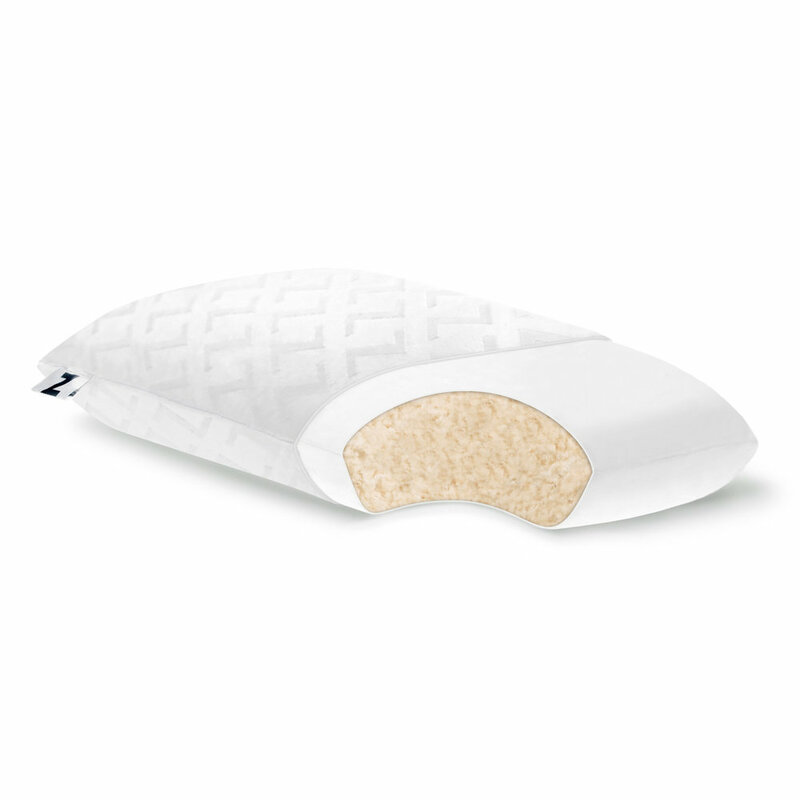 Made with natural latex and infused with a cooling gel, this pillow just feels luxurious. 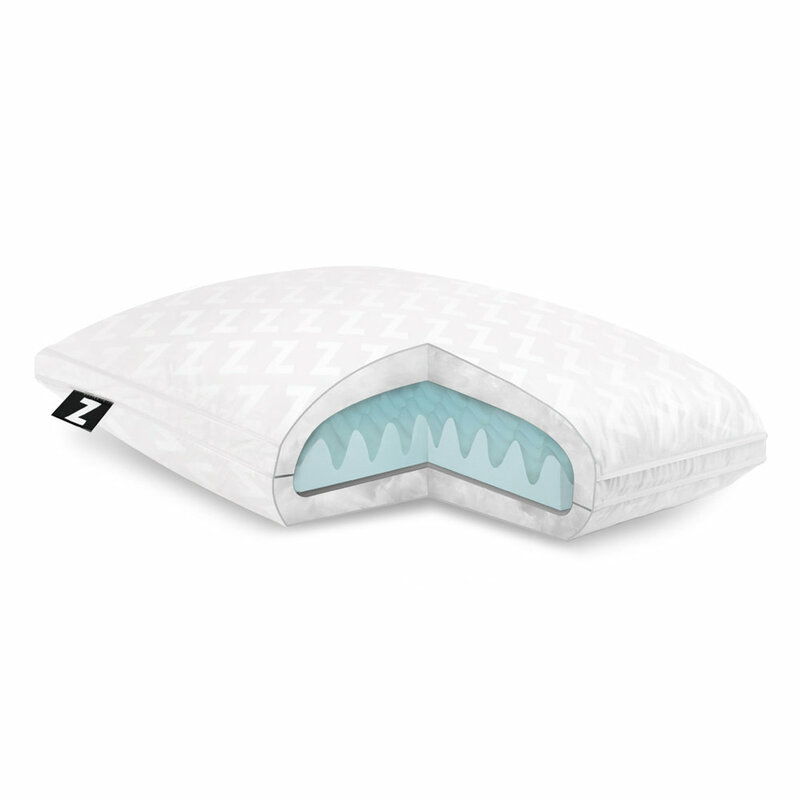 Soft, but supportive, and with two different density options, the Zoned Gel Talalay Latex pillow promises to be a staple of amazing sleep for a long time. Zoned Technology™ design cradles the head while supporting the neck. Low (4.5") and high (6.5") lofts available. Crawl between these sheets, you might never want to come out. We think that sheets should be unique—that they should tell a story. That's why we have selected this line to offer you. Each set tells a different story, and one of them is going to be perfect for you. Sheets are an important piece of sleep health. They should be helping (not hindering) your ability to sleep deeply through the night. So come in and let us help you find the sheets that speak to you. These sheets are a great entry-level option, with the price of a blend. But they still feel amazing, and here's why: Instead of blending yarns of cotton and polyester before the weave, cotton strands are lined up on one direction before poly strands are woven across them. This results in a two-sided design with the pure cotton feel on one side (the side facing your skin), while keeping the wrinkle-resistant convenience of polyester on the other side. Universal Fit® design with thick elastic. Deep pockets to fit 6" - 18" mattress depths. Includes fitted sheet, flat sheet, and pillow cases. Colors: White, Ivory, Driftwood, Ash. Sizes: Twin, Twin XL, Full, Queen, King, Split King, Cal King, Split Cal King. These sheets are an absolute top seller. Because of the porous composition of the rayon from bamboo fibers, the fabric is more breathable and temperature regulating—a definite plus if you don't want to sleep hot. Plus they're just so buttery soft! Sleeping in Rayon from Bamboo sheets is truly a luxurious experience. Colors: White, Ivory, Citron, Rain, Driftwood, Ash. If you like a silky feel with the natural and refreshing comfort of a strong, durable fabric, then you should take a look at our TENCEL® bed linens. Tencel has inherent moisture management properties that make it light, cool, and ideal for temperature-sensitive sleepers. And, it's made from renewable resources—its production uses 10-20 times less water than cotton—so it's environmentally friendly. Perfect if you have sensitive skin or sleep hot. Colors: White, Ivory, Opal, Dusk, Ecru, Harvest. Sizes: Queen, King, Split King, Cal King, Split Cal King (Twin, Twin XL, Full available in White). Expertly crafted in Portuguese mills, the Portuguese Flannel sheet set is an amazing balance of softness, warmth, and durability. Made from brushed 100% cotton, these sheets are feel velvety and incredibly cozy—perfect for a cold, mountain night. 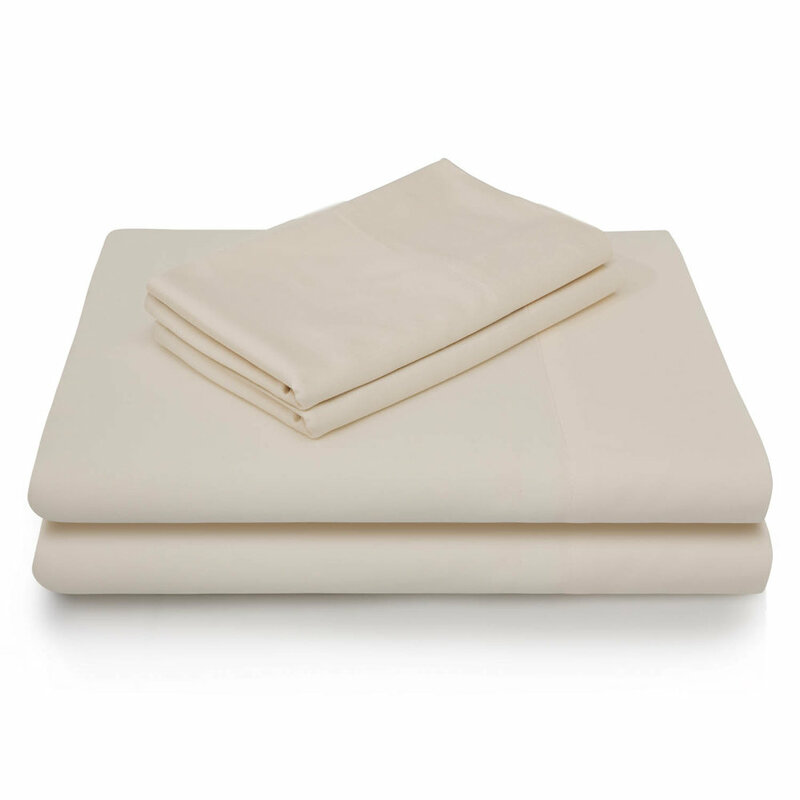 These sheets use a durable fiber structure that reduces pilling and excess lint to maintain a lush finish. Notoriously durable with a napped, fluffy finish. Colors: White, Pacific, Oatmeal, Coffee. Sizes: Queen, King, Split King, Cal King. Like cotton sheets? You will love these! 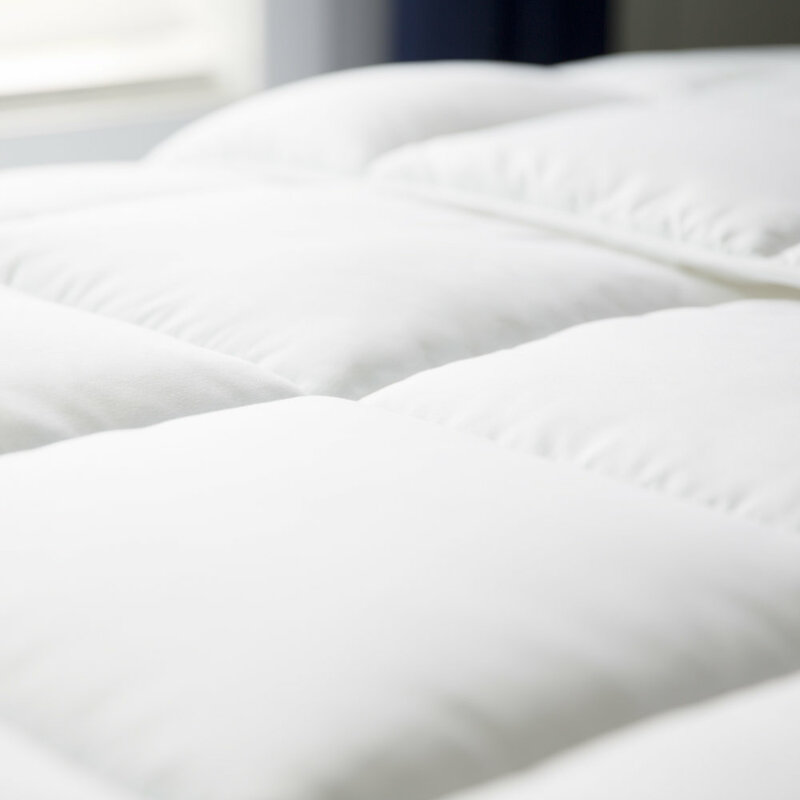 Supima® Premium Cotton Sheets are made of superior extra-long staple cotton that is 100% American-grown. 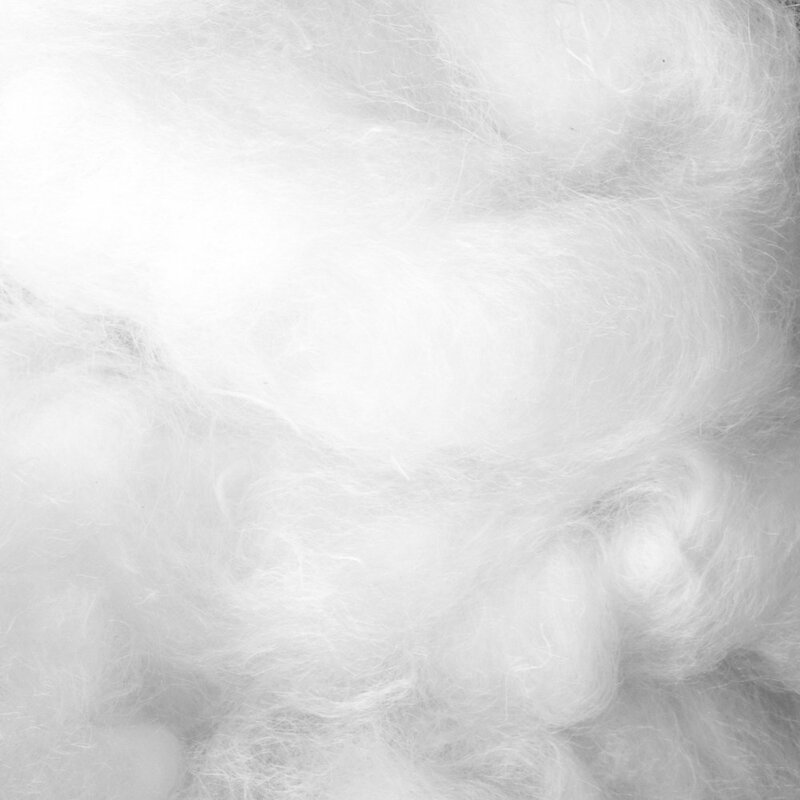 The fibers are an impressive 35 percent longer than typical cotton and produce smoother, softer, and cleaner yarns. The result is luxurious fabric that gets even softer with every wash.
Supima cotton represents the top one percent of fine cotton and is verified by the Supima association. It's twice as strong as regular cotton, more breathable, and it resists pilling, breaking, and tearing. Colors: White, Smoke, Flax, Charcoal. Historically, Linen sheets were considered a family heirloom, passed down from one generation to the next. Today, Linen sheets are starting to make more of a comeback, and for good reason. Stylish, airy, comfortable, vintage, and long-lasting, they also have natural moisture management properties to keep your bed fresh and dry. Our percale linen sheets are made from highly-revered flax fibers grown by French artisans in the Flanders region. These sheets are the epitome of comfort and luxury. Made from 100% pure French linen. Vintage washed for superior comfort and style. Extremely durable—its strength is twice that of cotton—yet surprisingly soft. These are the real deal. The highest-end sheet set we offer. Hand woven by Italian artisans in the mountains of northern Italy, these 400 TC sheets are made from the absolute best cotton grown in Egypt. 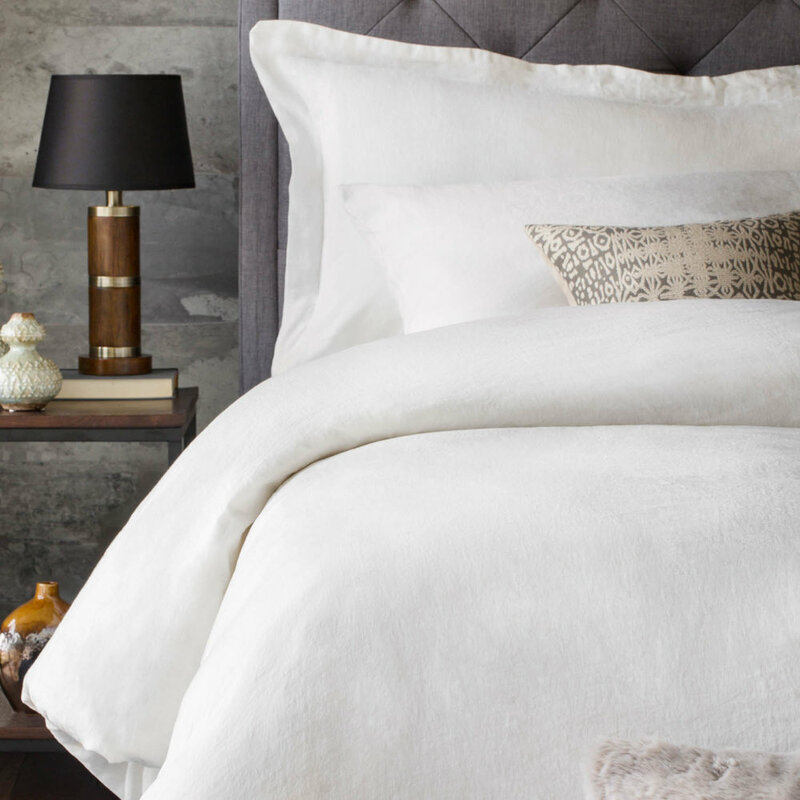 True Egyptian cotton is known for its soft drape, distinct luster, and amazing durability. 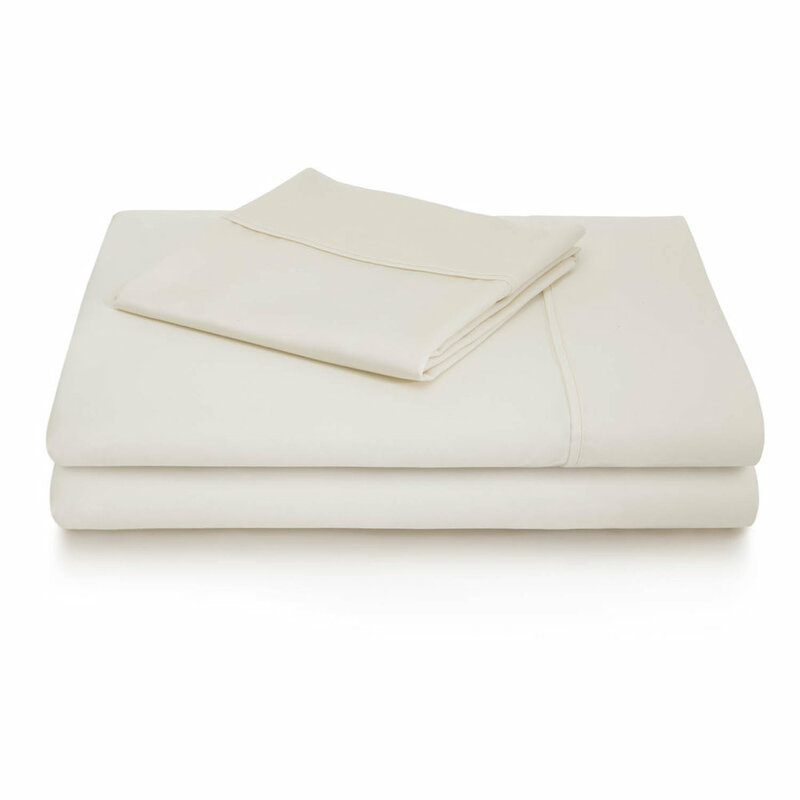 These sheets ensure a lasting, crisp, luxurious feel for any sleeper. Hand finished and tailored fit by Italian artisans. They look great. They feel even better. Second, it must feel even better than it looks when you jump up and climb in bed. We can help here, too. Choose from the light, airy, and fluffy Down Alternative Microfiber Comforter, or the heavier, luxurious Down Blend Comforter. With these comforters and duvets, jumping into bed is a highlight of every single day. The Rayon from Bamboo Duvet set is an amazing choice for soft and sleek luxury. The silky bamboo fibers are ideal for sensitive skin, and they are breathable. Naturally hypoallergenic, this buttery smooth fabric actively wicks moisture and heat away from your body. Conveniently, with the Duv8t™ Fastening System, 8 corner and side loops (instead of the traditional 4) ensure your Down Alternative Microfiber or Down Blend comforter stays put for hassle-free and beautiful bedding. Buttery smooth fabric ideal for sensitive skin. Pair with one of our compatible comforters for best fitting duvet cover. Duv8t™ fastening system has 8 corner and side loops, instead of the traditional 4. Fabric-covered buttons add finished, classic look. Set includes one duvet cover and two matching pillow shams. Linen brings a classic, beautiful, luxurious style to your bedroom decor and light, airy comfort to your sleep. As with the French Linen sheet set, this percale linen duvet set is made from highly-revered flax fibers grown by French artisans in the Flanders region. Durable and soft, with inherent moisture management properties to keep your sleep environment fresh and dry, this duvet set will have you sleeping in luxury. Pair with one of our compatible comforters for best fit. 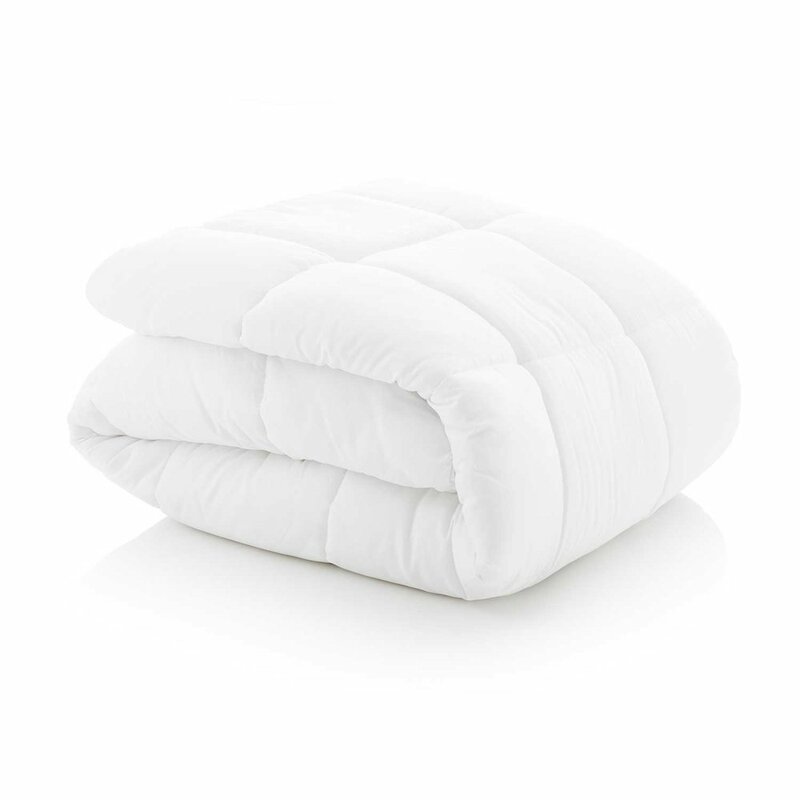 This comforter is light and fluffy, warm and breathable. It's box stitched to keep the down alternative fill smooth and even. With a double-brushed microfiber casing and a polyester fiber fill, you can even machine wash and dry it. This comforter pairs perfectly with our duvet sets with the Duv8t™ Fastening System (8 corner and side loops, instead of the traditional 4) for hassle-free and beautiful bedding. Oversized to fit any mattress depth. Duv8t™ Fastening System with 8 corner and side loops. Pair with one of our compatible duvet sets for ultimate luxury. Sizes: Twin, Full, Queen, King, Cal King. This comforter has all the classic comfort and style of down. Piped, double-stitched edges add durability. This comforter also pairs perfectly with our duvet sets with the Duv8t™ Fastening System (8 corner and side loops, instead of the traditional 4) for hassle-free and beautiful bedding.